With 600 events slated for this “peak” season, the St. Baldrick’s team realized it would be a challenge to create a personalized media approach for each one. The team decided to scale back outreach to the outlets and influencers representing key markets only, however this still involved a hefty number of contacts. 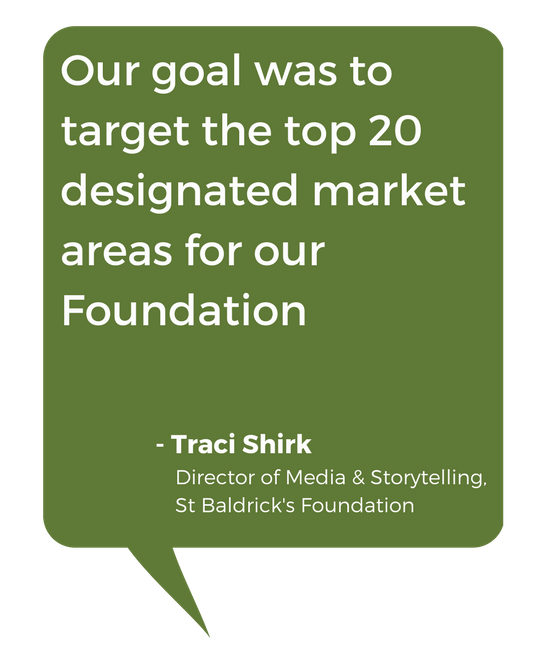 “Our goal was to target the top 20 designated market areas for our Foundation,” said Traci Shirk, Director of Media Storytelling. The Foundation turned to Cision for help reaching key print and broadcast media contacts in specific markets across the country, all throughout the month of March. They chose the Cision Comms Cloud ™ platform for it's all-in-one ability to target, distribute, monitor and report on their campaign. 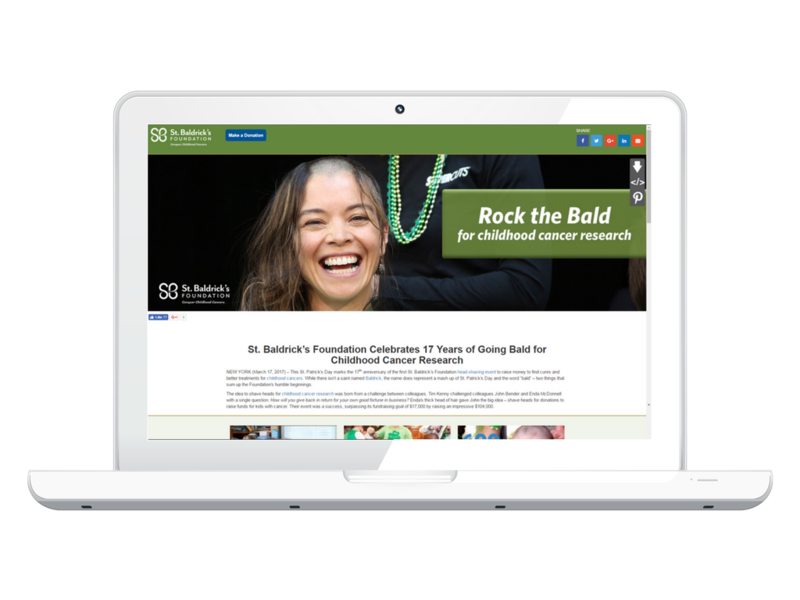 The St. Baldrick’s team began their work within the platform's media database feature, creating media lists. “The keywords function helped us ensure that we were pulling the right kind of media contacts -- those that would be interested in our events and overall strategy,” said Shirk. The St. Baldrick’s team strongly recommends taking the time to pull hyper-targeted media lists for the story you plan to tell. On event day, St. Baldrick’s monitored local news coverage within Cision Comms Cloud. Post-event, the team drafted event recaps, captured news coverage and sent those assets to its volunteer staff. “We wanted to make sure those who made our events a success knew what kind of coverage they were receiving,” said Shirk. Mid-way through the month, St. Baldrick’s leveraged Cision's multimedia distribution capabilities, powered by PRNewswire, to put out a multichannel news release (MNR) highlighting the rich history of its head-shaving events. The MNR also included the Foundation’s “Rock the Bald” tagline, several video and high-resolution images supporting its efforts, and described how childhood cancer patients have benefited from these fundraising events.